Pruden and Edwards received the noteworthy contracts as part of the CDC's wider effort to address emerging public health priorities. The work Pruden and Edwards are set to conduct for the next year falls under one of the CDC's 10 major research areas of interest surrounding disease control. 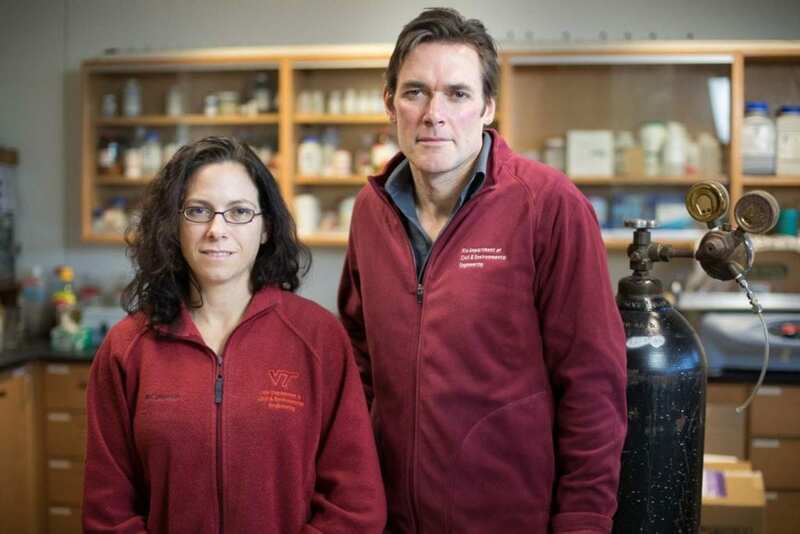 Both will focus their efforts on antibiotic resistant pathogens and resistance genes in water systems. Pruden's project will explore the opportunity to intentionally design wastewater treatment and reclamation processes as a barrier to the spread of antibiotic resistance. Her team will partner with Kang Xia, a professor in the School of Plant and Environmental Sciences at Virginia Tech, and V. Jody Harwood, professor and chair of the Department of Integrative Biology at the University of South Florida, to examine a range of markers of antibiotic resistance through local water reclamation facilities treating water for reuse purposes. Post-doctoral student Emily Garner and civil engineering graduate student Ishi Keenum round out the research team.